There's always a problem this time of the year finding places that are actually open. After many false starts we finally find success at Rococo. The last time we wrote about this place we found it in the middle of its conversion from Isa Brown to Rococo. Beside changes to the menu, changes to the decor have also taken place - the back wall now has banquette seating. The bread comes out piping hot from the same oven that will soon be cooking our pizza. It's lovely bread and if you finish it all they will offer you some more. 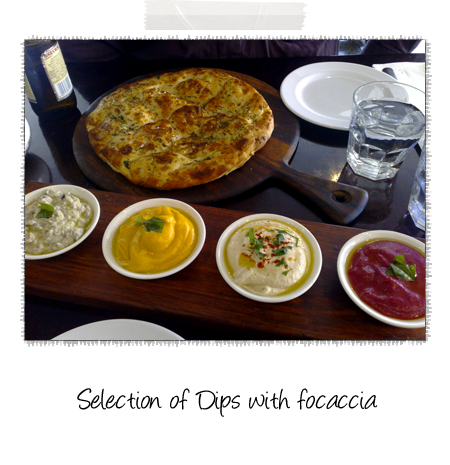 The dips are eggplant/baba ghanoush, pumpkin, chickpea/hummus and beetroot - all quite nice. 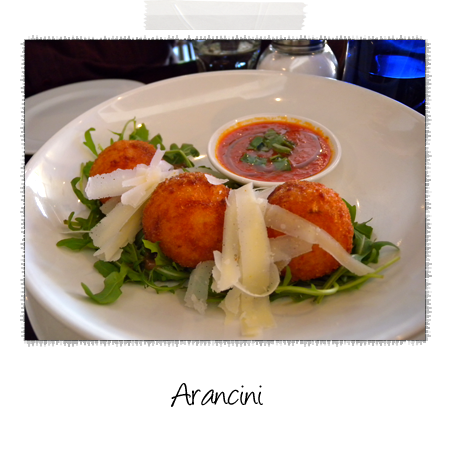 To accompany the dips we decided to try the arancini - three good sized balls served on rocket with shaved parmesan and a rich tomato sugo. 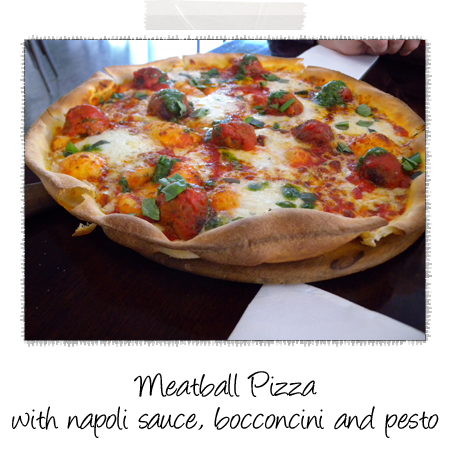 We decided on only one pizza to share and selected this meatball pizza. The dough is thin, there's not an over abundance of topping with is good and all up, it's a pretty good pizza.